CÚRAM, the Science Foundation Ireland Research Centre in Medical Devices, based at NUI Galway, will partner with five other European institutions to develop new advanced therapies and technologies in skin regeneration for the treatment of burns and chronic wounds. The €4 million NanoGrowSkin project will involve a multidisciplinary healthcare approach to develop an improved chronic wound therapy. The goal of this project is to develop a bioengineered human skin substitute, improving the manufacturing process, shortening the production time, and enhancing its treatment effectiveness. Until now, different types of artificial skin covers have been designed, although none of them has successfully reproduced the accurate structure and functions of the native human skin. Moreover, they can also present some disadvantages, such as a high bacterial infection risk, low biological activity and low regenerative effectiveness. “We aim to overcome the two major drawbacks of severe skin wounds, the urgent need of an effective skin implant in life-threatening situations and to avoid/counteract usual bacterial infections”, added Professor Pandit. The international research team will take advantage of their combined expertise on tissue engineering, to manufacture an autologous (from the patient’s own body) skin substitute comprised of materials whose safety and efficacy have already been proven in humans. The first milestone of the NanoGrowSkin project will be the optimisation of human artificial skin models by using pharmaceutical quality products and the implementation of novel methods, such as nanomedicine technologies. Nanotechnology is technology that works at the nano scale (one nanometer is one billionth of a metre). Nanomedicine is utilising nanotechnology for medical purposes. 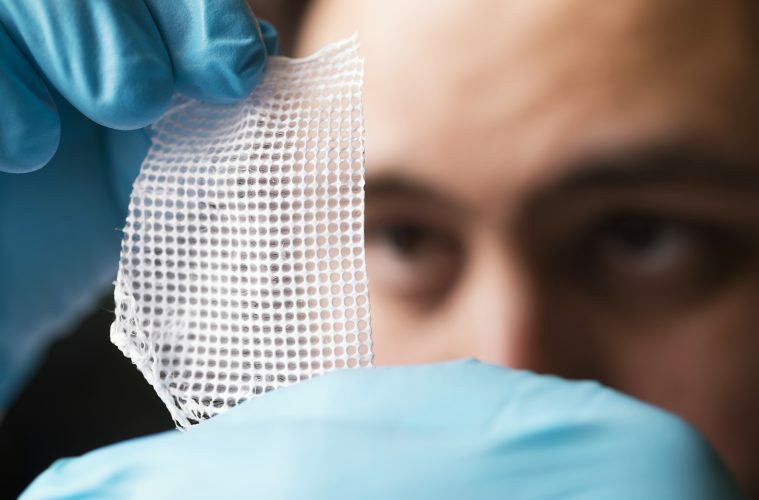 This will allow the development of biomaterials with improved and suitable biomechanical and antimicrobial properties for use in patients with burns and chronic wounds. The second aim of NanoGrowSkin will be to adapt the production of these new tools towards an optimal regulatory framework, including Good Manufacturing Practice regulation and European Medicines Agency guidelines. Finally, the project will include the development of a market access approach in order to estimate the benefits of this treatment for the entire society. The envisaged model will include the calculation of cost per patient as well as potential cost-savings and/or cost-effective measures for the affordable introduction of the tissue-engineered treatment. The project team, led by Professor Miguel Alaminos, Health Research Institute in Granada and the University of Granada, Spain, with partners from the Italian Biochemical Institute, the University of Bordeaux and the University of Technology of Compiègne in France, CÚRAM at NUI Galway and the company OSI Health XXI in Spain.